"The Mexican government made the first land grant in what is now Leon County to Ramón de la Garza in 1831. Additional grants were given before Texas independence, but few people settled permanently. end of the decade both the Keechis and Kickapoos had been driven from the future county. ... the county remained free of Indians after that time. In the decade that followed, large numbers of settlers established farms in the county, attracted by fertile lands and relative safety from Indian attack. 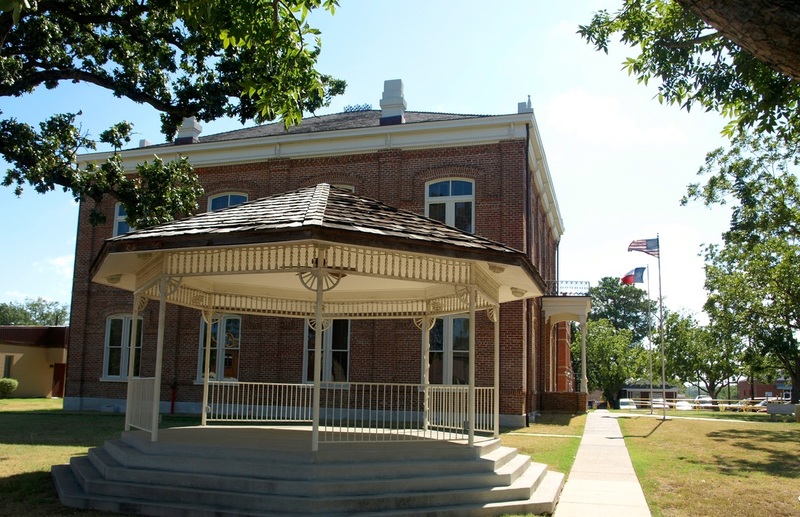 "Leon County was officially formed from Robertson County by the First Texas Legislature in 1846. The naming of the county is the subject of much controversy. Some maintain that it was named for Martín De León, founder of Victoria. However, many residents insist that the name ("lion" in Spanish) came from the nickname of a yellow wolf of the region commonly called the león. 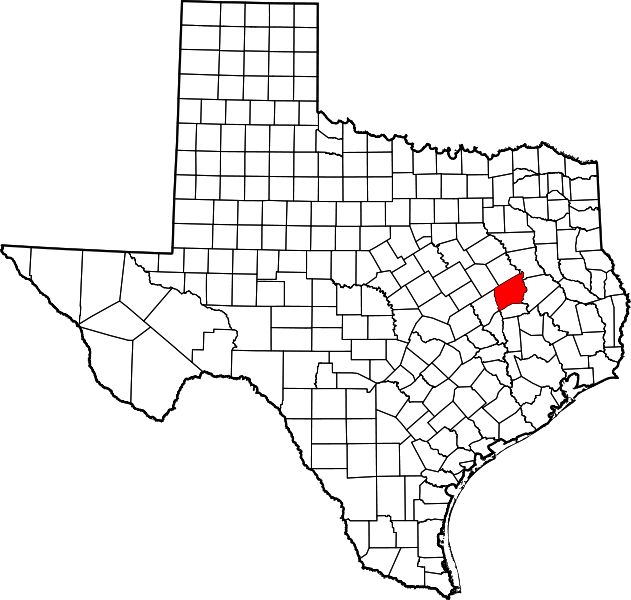 The first county seat, Leona, on the southern boundary near the Old San Antonio Road, was picked in 1846. 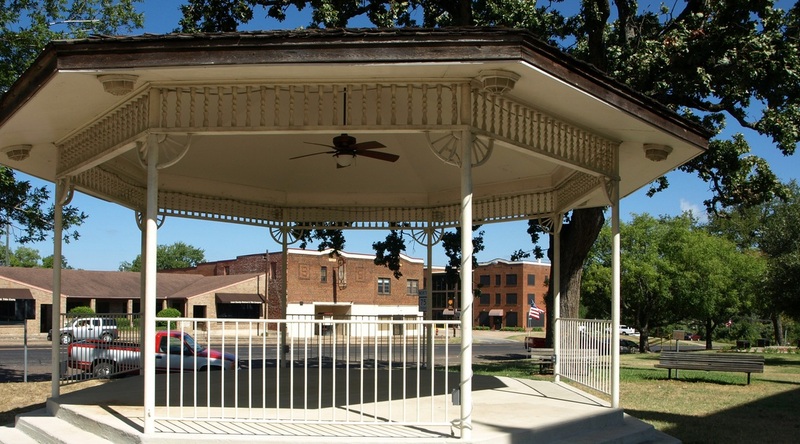 "Centerville became county seat in 1851, as a result of a state requirement that county offices be as close to the geographical center of a county as possible." There is also a county seat with the name of "Center" (Shelby County). 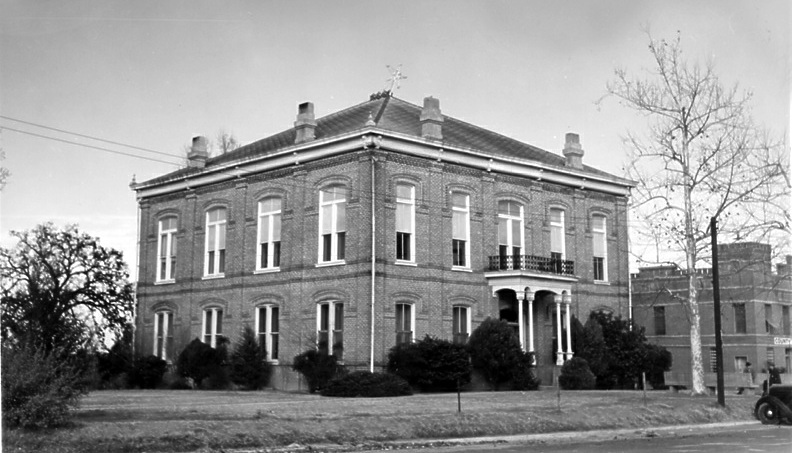 Center was established in 1856/57, a few years after Centerville. 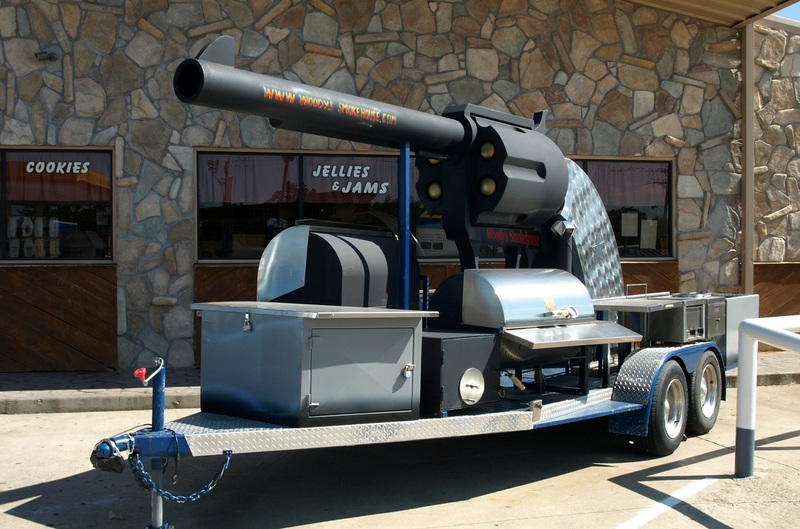 Neither town is anywhere near the "center" of Texas. 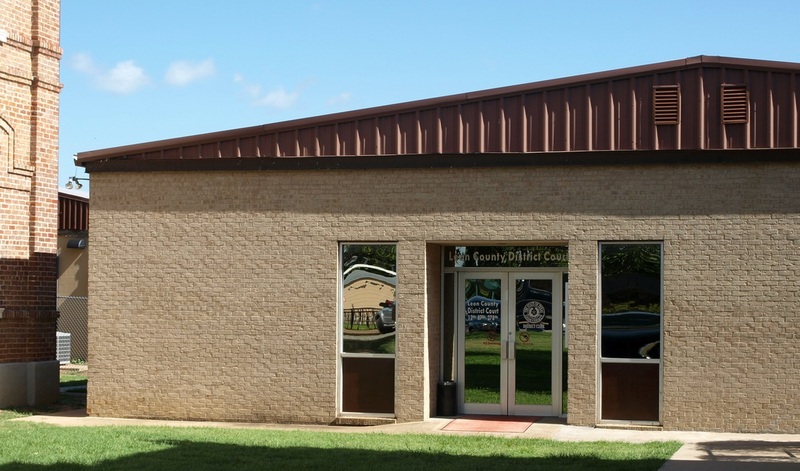 That would be Brady, seat of McCulloch County, where the geographic "center" of Texas is located. 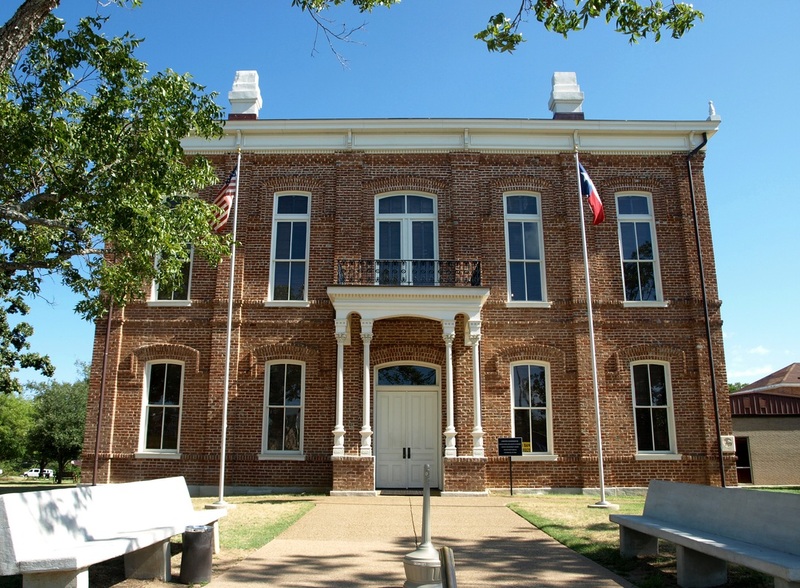 I visited Leon County and photographed the courthouse in Centerville on August 9, 2011, during the extreme 2011 drought in central Texas. 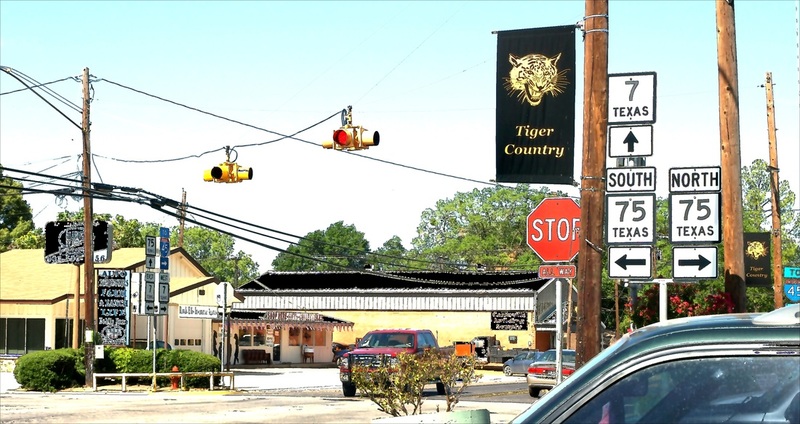 The courthouse square is at the intersection of Texas Highways 7 and 75. And, yes, this IS Tiger Country. 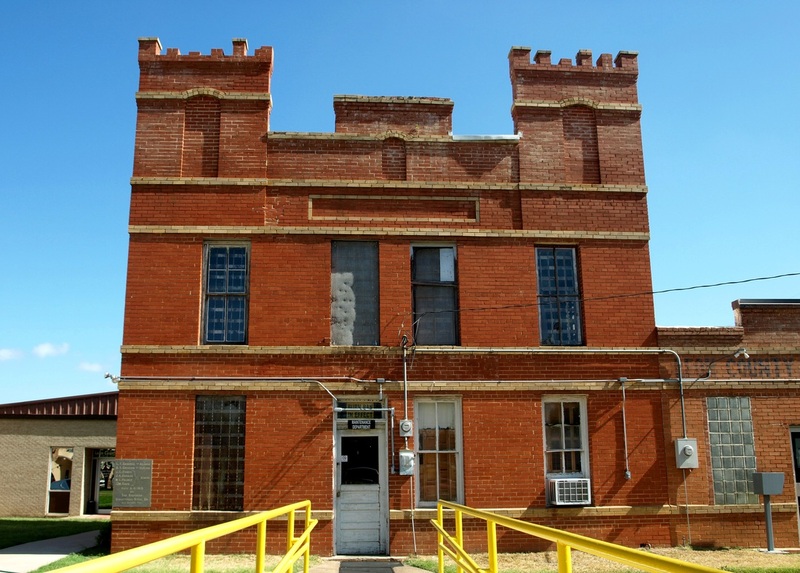 "This unusual 1886 courthouse, designed by architect William Johnson, was built on the footprint of the previous 1856 courthouse, encasing two surviving safes and reusing much of the 1856 exterior brick. The full restoration to a 1909 date included adding restrooms (there were none); an elevator; electrical and mechanical systems; new slate roof; and a complete restoration of the original finishes. Additionally, new steel trusses and columns were added at minimal intrusion into the historic spaces in order to stabilize the building. Each room is equipped with decoratively striped wainscoting and a non-working fireplace. The District courtroom again shines with ceiling fans, bare bulb fixtures, original benches and black walnut trim. 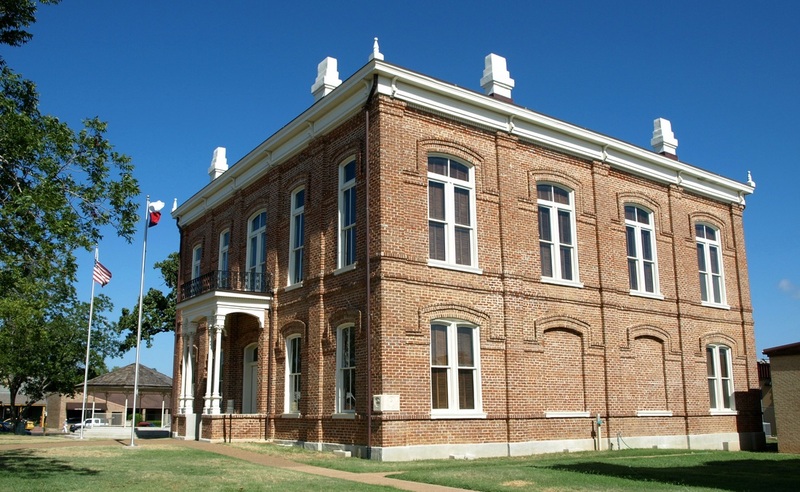 The courthouse was rededicated on July 1, 2007."